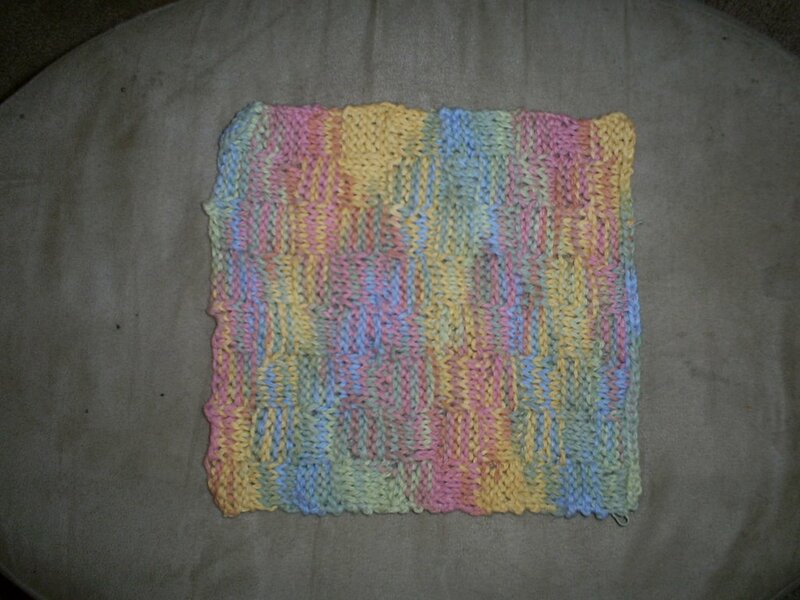 Here is my finished checkered dishcloth. It is my first knitted cloth. I thought I would never finish counting, especially since the kids always interrupted me! I like the pattern though. Guess I need to try a different one next time! Well another day of waiting around to see who my swap partners will be. I am so excited! I have already been buying lil things for them. I am waiting to see if I am going to be able to be on the chocolate swap. I told her that if someone dropped out I am interested. I eat chocolate daily! Two of my four kiddos are lovers of chocolate too. My other dd tries to like it because it looks so good. My son just declares he doesn't like it!! I cannot imagine not liking such rich goodness! !